Locked Your Keys in Your Vehicle? No Problem! Most car owners experience a moment of sheer panic once they realize that they’ve been locked out of the car. It’s especially tough when you have to be somewhere at a certain time, but instead you’re caught staring though the window at your keys, still dangling in the ignition. If you ever find yourself in such a situation, don’t hesitate to call AKM Auto Key Masters of Charlotte. We are a fully licensed car locksmith company that can get you into your car and on the road in no time. 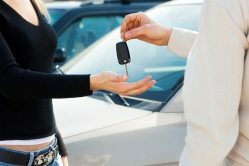 There are a number of reasons why you might need a skilled car locksmith to help you get into your car. Please give us a call if you get in the following kinds of trouble. Missing Key: Of course, there’s the classic case of locking your key inside your vehicle. You might also lose your key completely, in which case you’ll need a locksmith to make a copy in a hurry. Broken Key: It’s not uncommon for a car owner to get overzealous and break his key off in the door or ignition. If this happens to you, don’t fret; have a car key replacement expert extract the broken key and make a copy. Old Age: Believe it or not, some car keys simply stop working after years of wear and tear. If your traditional key or smart key can no longer open your doors or start your car, we’ll gladly make or program you a replacement. We know it can be difficult to trust anyone with access to your car. As a fully licensed locksmith company, we promise to deliver satisfactory results. Sophisticated Skills: We can handle virtually all car-key-related tasks. We can even replace your vehicle’s faulty ignition switch so you can get back on the road. 24/7 Availability: We know that people don’t always lock themselves out during normal business hours. That’s why our car locksmiths are standing by to help 24 hours a day, 7 days a week. Trustworthy Service: We only hire courteous, professional, and honest locksmiths. In addition to producing our certifications, we will go through the proper verification to ensure that the car we’re helping you with actually belongs to you. 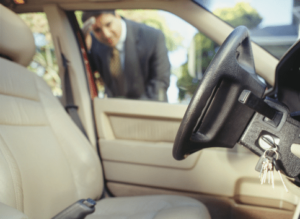 The next time you get locked out of your vehicle, call AKM Auto Key Masters at 704-458-4784. If you live in the Charlotte area, we’ll help you get out of a jam and on with your life.